Prague, 1990. It is the summer after the Berlin wall came down. I’m having breakfast at Hotel Jalta – a communist style luxurious establishment. Eggs, bacon, jam and toast. I’m sitting on the terrace facing Václavské námesti, the city’s main parade street. The gentleman at the table next to me tells me he’s from Baghdad, Iraq. We’re small talking; agreeing that the Prague summer is beautiful and that the Czech take on bacon is ‘different’. As it is likely that he is Muslim, I react hearing his comment on this. From my crooked angle I try, but could not quite see if he eats the bacon or just moves it around on the plate, to finally let it disappear under the untouched toast. But why put on a game of hide and seek of this bacon for his adolescent breakfast neighbour? 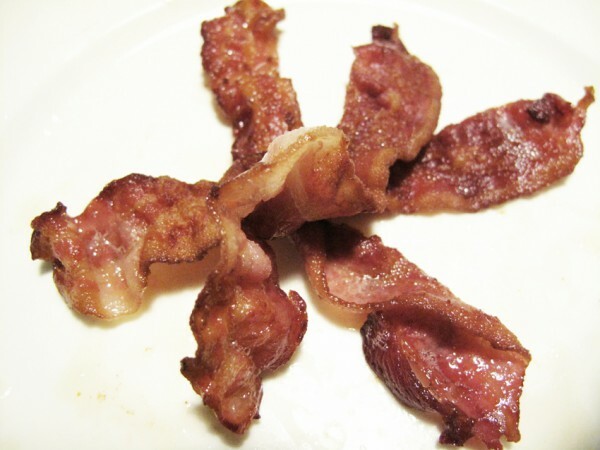 How does one relate to ‘plate travelling bacon’? For something to be funny you need a build-up of anticipation – expect that something will happen, that a custard pie – or a punch line – will land. But nothing has landed; it’s just gone. The disappearance is thrilling and bewildering rather than amusing, softly uncanny, but not humourus. The waiter checks up on our tables. We both tell him we are satisfied. Good service was, until the previous year, at hotels like this, not rewarded with tips. If you did not like the way you were treated by the staff, you asked for ‘the book’. In it you wrote down your complaints. This waiter on the terrace looks like he still belongs to the ‘book system’ – but is putting on an act to blend into the ‘tipping-one’. 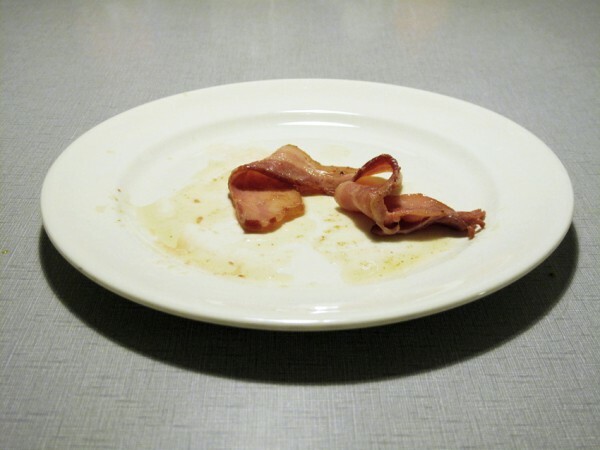 Disappearing bacon is strange enough; a whole system that vanishes – of running hotels or political systems – must be something else. I agreed, but had no idea to what. The structure of the joke gives space to anticipation before the punch line. No matter how short the narration is, there will always be a build up of anticipation, and then a change of direction of events. A joke needs this. If taken in isolation, what he just said could be a very funny joke. (I’m asking a man from Iraq about his relations to politics. He answers, “I don’t like politics, I like swimming. It’s much more enjoyable.”) He looked serious while making the analogy – therefore no change of direction, no joke. Logical explanations of humour have never been very popular in academia. I had read some of them – with pleasure. One of these theories describes how two contradictory syllogisms – logical reasoning pointing in different directions – create the tension: A piano falls from the sky. The person it lands on gets killed. /A piano falls from the sky. The person it lands on gets shorter. What we expect is death, but the outcome is shrinkage. The tension, a shortcut in logic is for some reason funny to us. In fact a large part of what has ever been considered humorous falls under this – in relation to its reach – futile explanation. We are sitting in silence, my neighbour then picks up and reads a morning paper. I can’t remember in which language. Maybe he is a Christian Iranian, not wanting to tip off his beliefs with a too public breakfast. Remember Caspar David Fredrich’s character in front of the cliffs and vast landscape: without ‘looking with him’, without him in the picture, there would not be much of an irresistible heartbreaking scenery. Just unfriendly rocks. Collapses need bystanders to come out as incomprehensible, like a contradictory logic needs an audience to be funny. Judging by his actions and careful choice of words, the gentleman from Baghdad, could very well have been in a similar squeeze as Prague. Maybe he felt at ease in the company of it. The complex notion of the sublime includes, according to Kant, an encounter between an ‘I’ – as in Prague that summer – and that which has the capacity to annihilate it – the market economy. The Dutch sisters that hitchhiked with us from the German boarder walk by the terrace. We nod and smile at each other – crooked smiles maybe even blushes, smiles without reconciliation. We met again at a nightclub last night. Enjoyments are inexpensive here; it makes the tipping point lower. A humorous comment could, maybe, have salvaged the situation with the sisters. Comic relief is sheltering too. But it would have brought about to much arousement and disturbed the harbouring peacefulness of the terrace. The answer to the question: ‘What remains when understanding fails?’ should, according to the standard book, be the sublime. But those who survived the falling piano will say different, that the joke is an equally true answer – ‘A message that ‘speaks’ of nothing’ probably has brought out more laughter than sublime spheres. He is preparing to take his leave, the gentleman from Baghdad; he gathers his things in an orderly way; thanks me for my rewarding company and wishes me a prosperous future in more ways than I thought my future could hold. His suit is white, spotless, whith a slightly gray twitch. He has paid for his breakfast – apparently not staying in the hotel. In Prague’s subway older ladies often tell you straight out – usually in Czech – if you are doing something out of line. It is enough to be sitting in-between two seats, even though the subway cart is almost empty. Things and persons seem to be appointed strict places and rules here. A lot of things for the market economy to annihilate; a lot of small eruptions to chew on. A lot of incompatibility and appealing incompatibilities for the bystanders. Gallows humour for the ones down there in the vast landscape. Illogic triggers both kinds of delight: Laughter after realising that the falling piano only will make you shorter, not kill you. Pleasure in pain after realising that the social system you lived in, life as you know it, suddenly is gone. When juxtaposed in this way the wall between the two seems narrow. The effort of turning the humorous narrative into a sublime one and vice versa is not overwhelming. The struggle between incompatible forces is there in both instances. Your position in relation to them, subject or predicate, is not defining. Sublime events usually rest on the element of shock, a more unexpected turn than the punch line. Our plates are being cleared from the table. If I had been a more sincere person I should have followed them out to the kitchen. Now, instead, I speculate whether I would have preferred finding the slices under the toast or not. It is not a bad little problem. Resting in the dead end situation is peaceful.